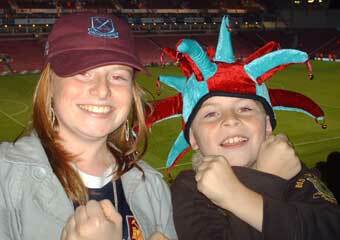 Dublin Hammers at Upton Park - Saturday 21st October 2007. 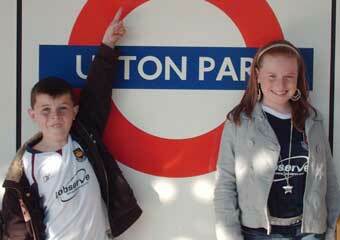 Dublin Hammmers, Peter, Ashleigh and Dylan attended Upton Park for the game against Sunderland. Scorers on the day for the Hammers were, Carlton Cole, Craig Bellemy and an own goal by Sunderland’s Craig Gordon!